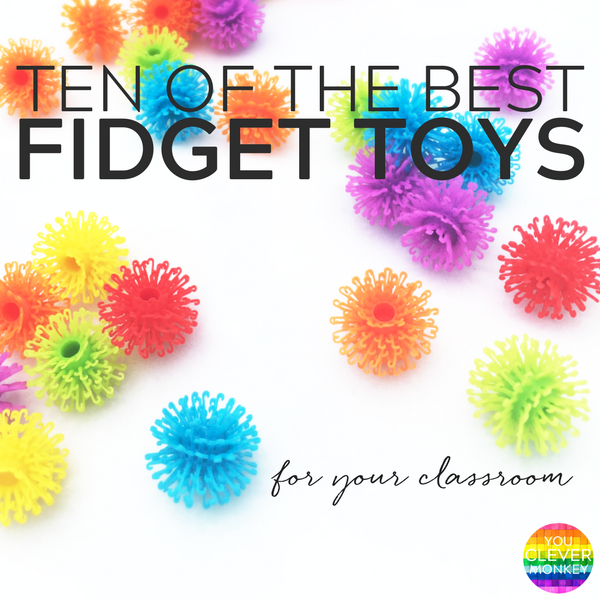 Why fidgets are an effective tool in any classroom along with a list of our favourite fidget toys, both bought and DIY fidgets to make and use at school. At the beginning of every school year, teachers look ahead as to how they can best support the range of learners that they will have in their class. In every school, in every classroom, there are children that sometimes need a little extra help to get through their day at school. The child who can't sit still on the mat during circle time for even a minute. The child who is always pulling their shoelaces undone. The child who breaks their pencils playing with them. There are some children who become more anxious in a noisy classroom environment. Others are children seeking the little extra sensory input they need to concentrate and then there are others who need help focusing their attention to develop active listening skills. 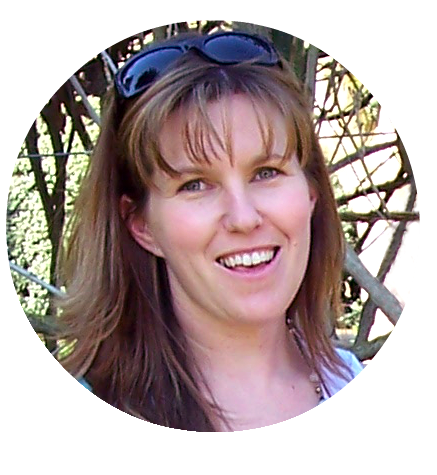 Fidgets can be a useful tool to help children begin self-regulating their behaviour in class. They are a simple, affordable classroom resource to help provide children with sensory input and movement in a less distracting way. 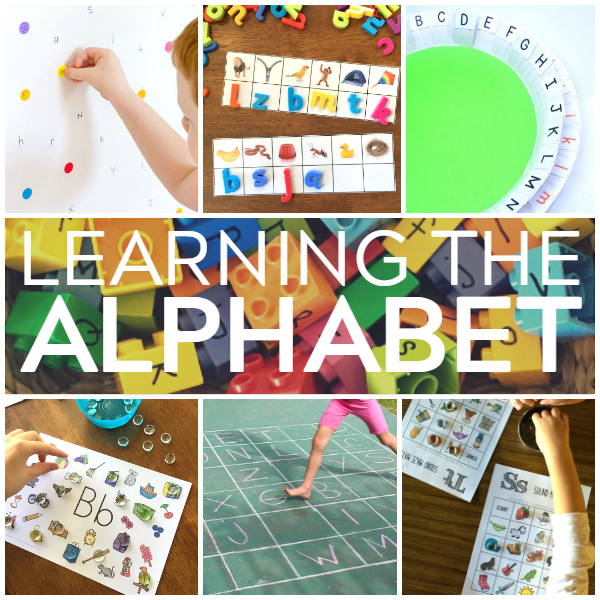 Twenty fun hands-on ways to learn the alphabet at preschool, kindergarten or at home. At preschool and kindergarten, learning about the alphabet - being able to recognise letters and the sounds they make should be fun, engaging and hands-on for this age group particularly. Preschoolers don't need flash cards or worksheets to help them learn letters but they do need to be exposed to a varied vocabulary and print from an early age so they grow up appreciating how valuable language is for communicating effectively with others. Children need to learn both letter recognition and the sounds the letters make. 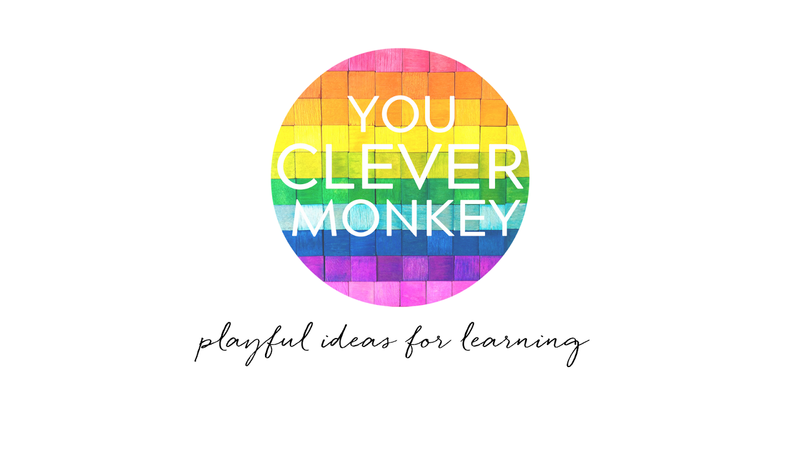 Many of these playful alphabet activities are suitable for small group or independent work at school or can be tried at home. 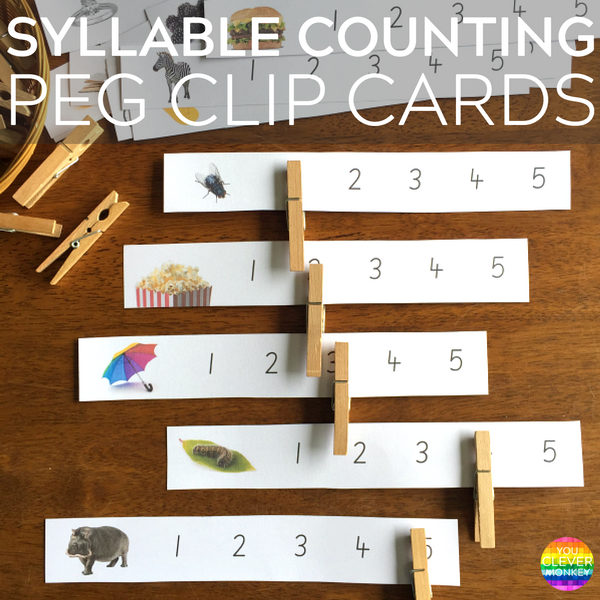 Print out these syllable sorting peg clip cards to add to your literacy centres, the perfect way to practice hearing and counting syllables in words. Being able to hear syllables and break words into syllables are one of the earliest building blocks for good phonemic awareness. Children as young as preschool age can hear that words have parts and can begin to count them but finding fun, hands-on way to learn this at school can be hard to do and often practicing counting syllables is just not included in literacy centre rotations. Yet it should be as being able to hear the syllables in unfamiliar words helps our children to spell correctly later in school. We use our FREE syllable sorting mats a lot as I can keep changing the objects or just add some sight word cards to our literacy centre tray for sorting for older grades but working in Reception, I also wanted an activity that does double duty by strengthening those fine motor skills that are poor starting school so I created these syllable counting peg clip cards. 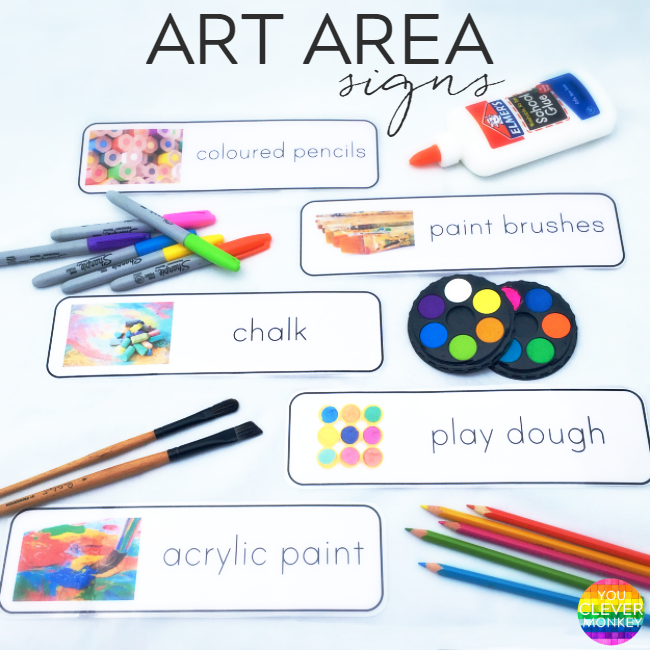 Our ready to print art area signs will make organising our art room or cupboard simple while helping create a print rich environment in your classroom. Creating an environment rich in print plays an important part of a child's early language development. Children can see that print has meaning. They know it can be used to communicate with others. As teachers we then strive to immerse our children with language and print but creating such an environment should always be purposeful.